Finally, it’s here! We’re happy to announce the availability of the Kali Linux 2017.1 rolling release, which brings with it a bunch of exciting updates and features. As with all new releases, you have the common denominator of updated packages, an updated kernel that provides more and better hardware support, as well as a slew of updated tools – but this release has a few more surprises up its sleeve. To those of you following our recent announcement regarding the Kali Linux Certified Professional program, we’re happy to say that we’re spot on schedule. The Kali Linux Revealed book will be available in early July, and the free online version will be available shortly after that. We’re really excited about both the book and the online course and are anxiously waiting for this release – it marks a real cornerstone for us, as our project continues to grow and mature. To keep updated regarding the release of both the book and the online course, make sure to follow us on Twitter. This year, we are fortunate enough to debut our first official Kali Linux training at the Black Hat conference in Las Vegas, 2017. This in-depth, four day course will focus on the Kali Linux platform itself (as opposed to the tools, or penetration testing techniques), and help you understand and maximize the usage of Kali from the ground up. 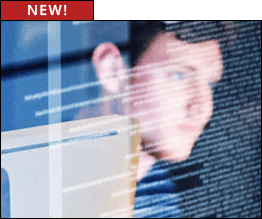 Delivered by Mati Aharoni and Johnny Long, in this four day class you will learn to become a Kali Linux ninja. We will also be delivering another Dojo event this year – more details about that to come at a later date. We hope you enjoy this fine release!